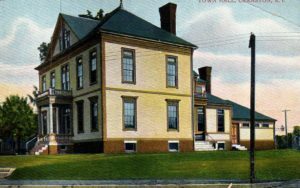 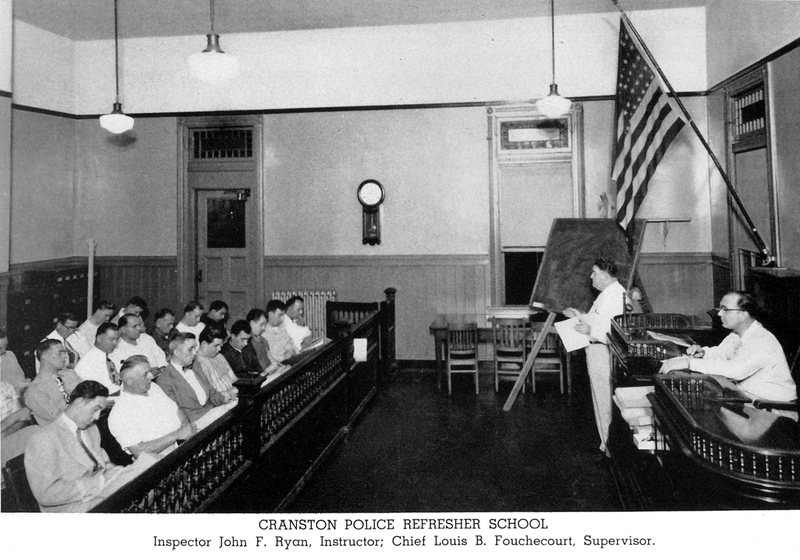 Vintage post card view of Cranston’s first City Hall and police headquarters – circa 1900. 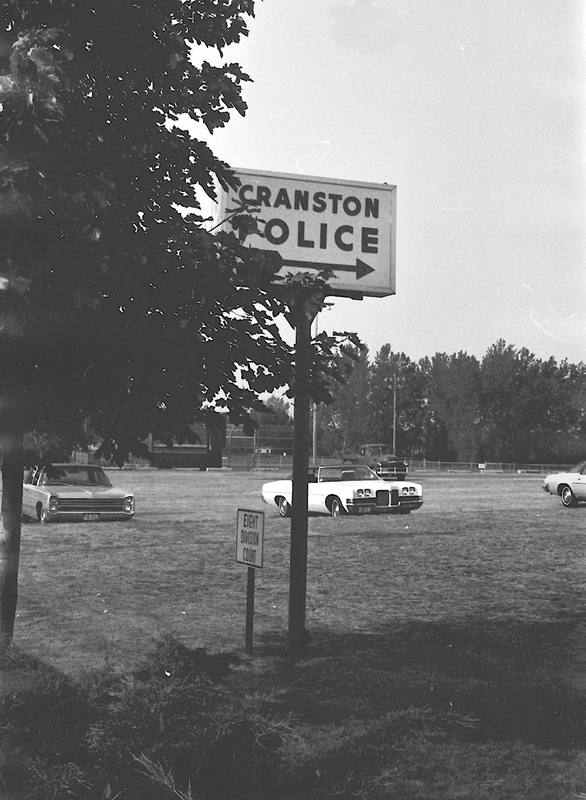 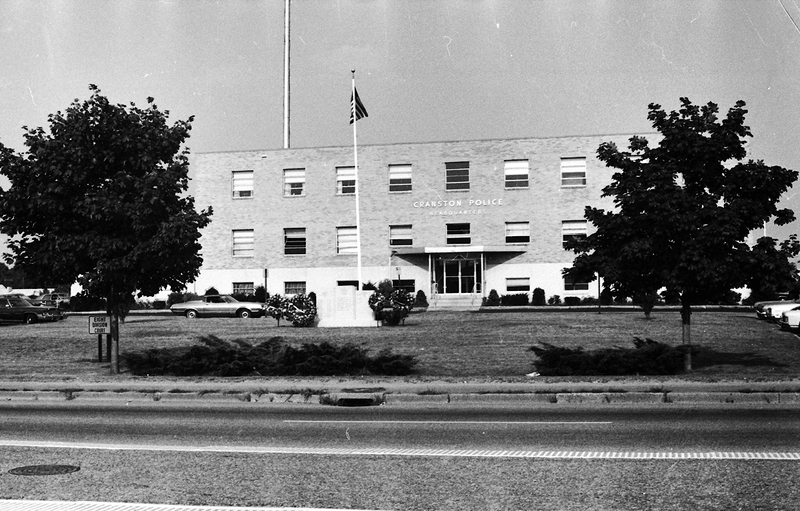 Sign to 275 Atwood Ave.
Police Headquarters – circa 1975 Note the police memorial on front lawn. 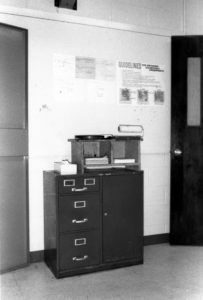 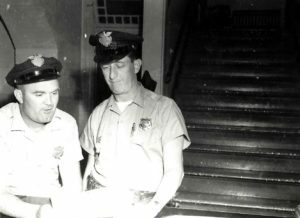 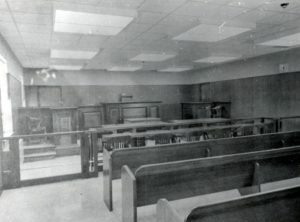 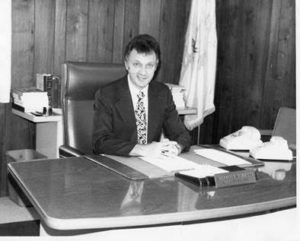 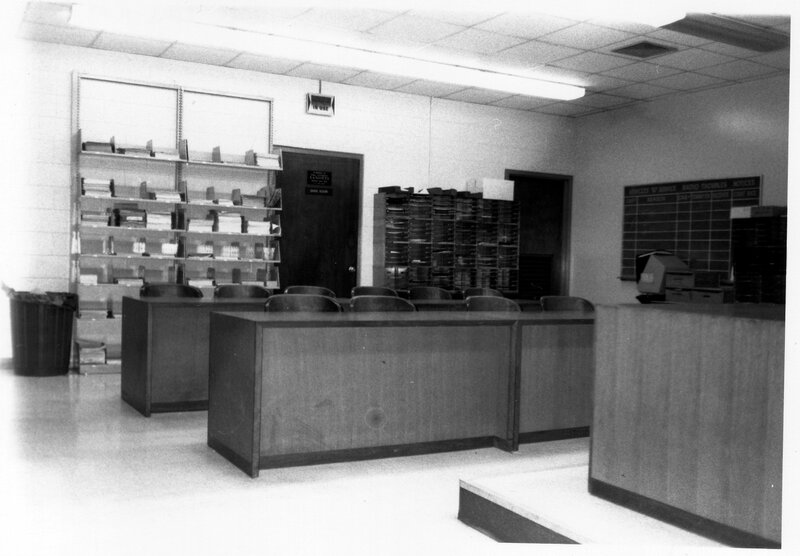 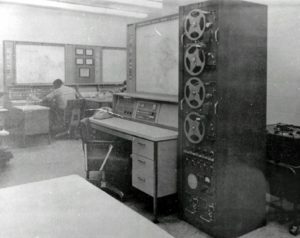 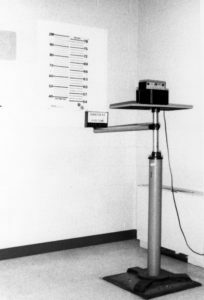 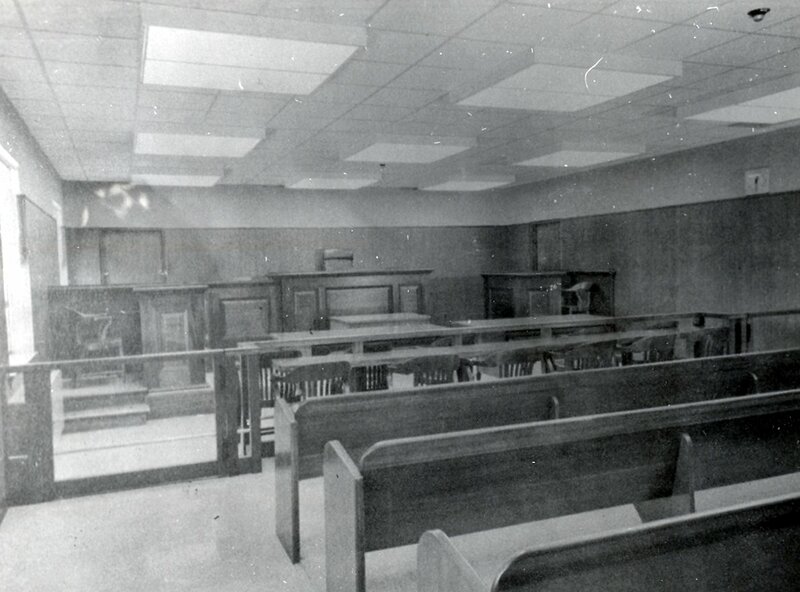 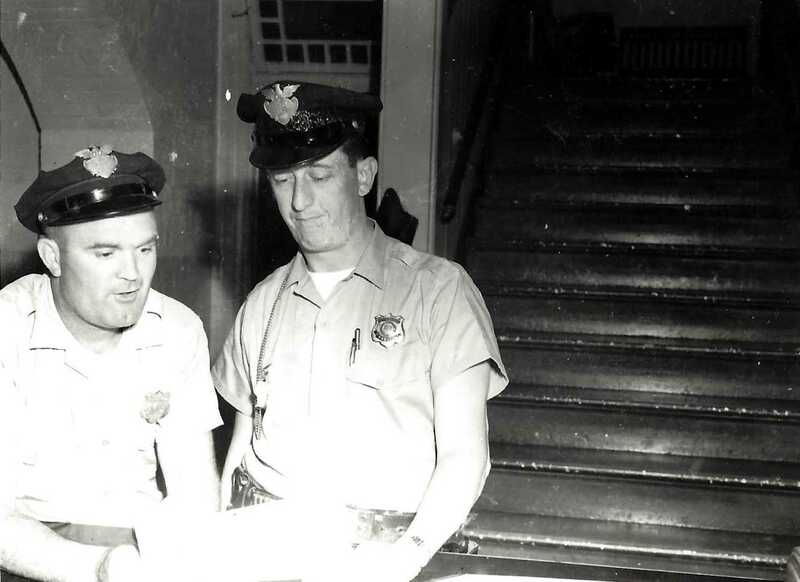 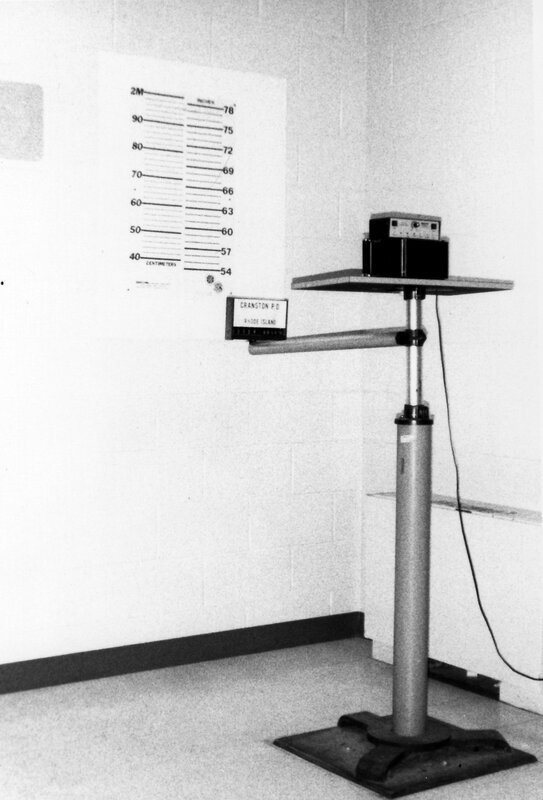 8th District Court room – 1960s. 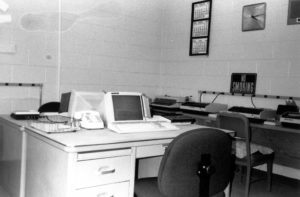 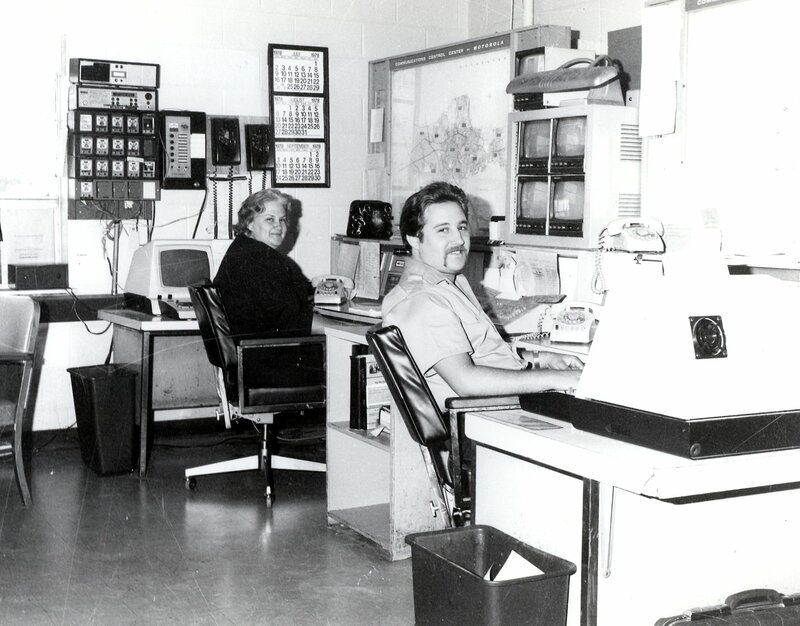 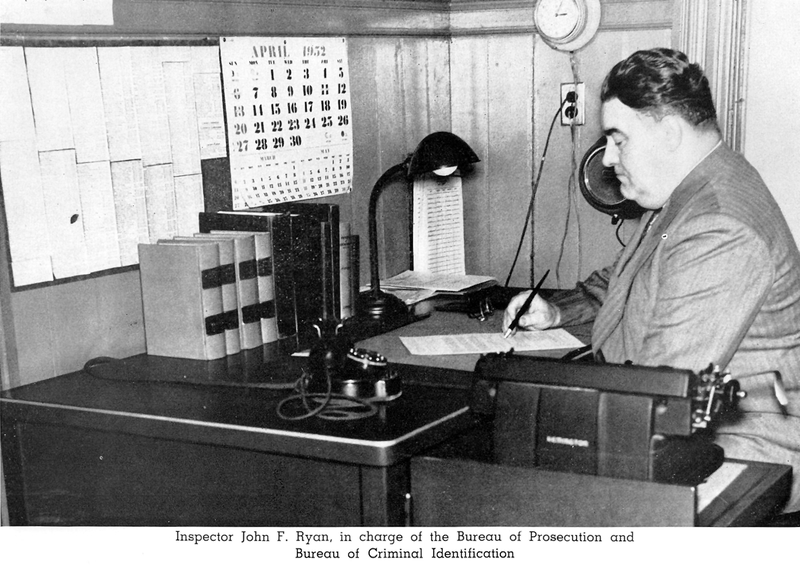 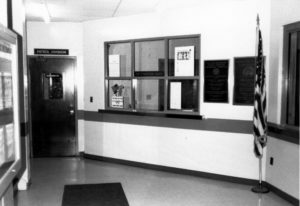 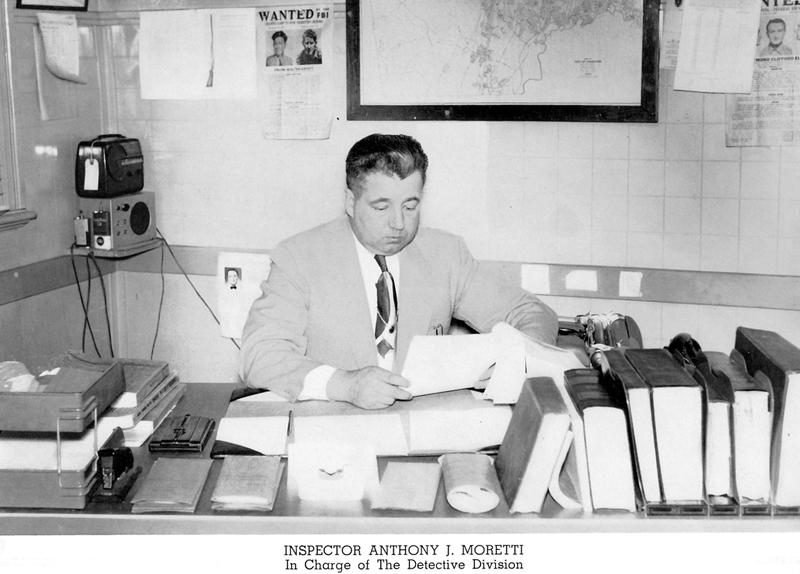 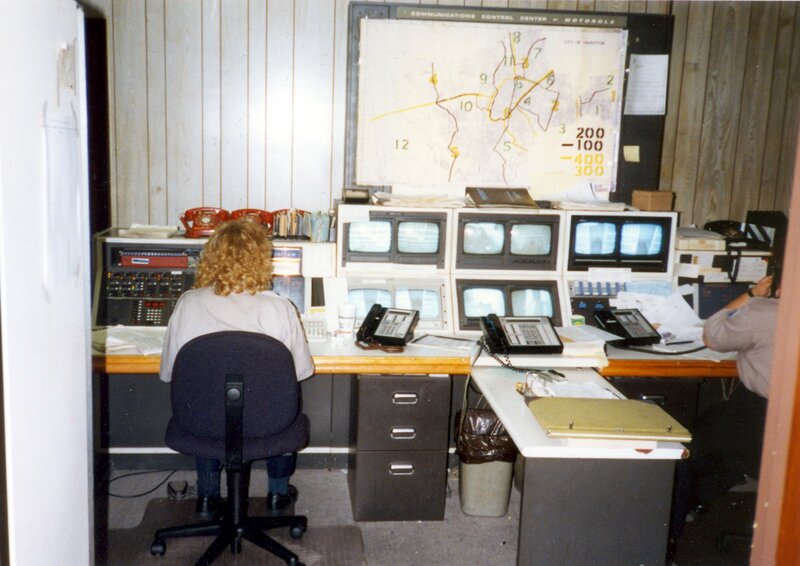 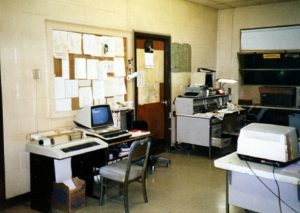 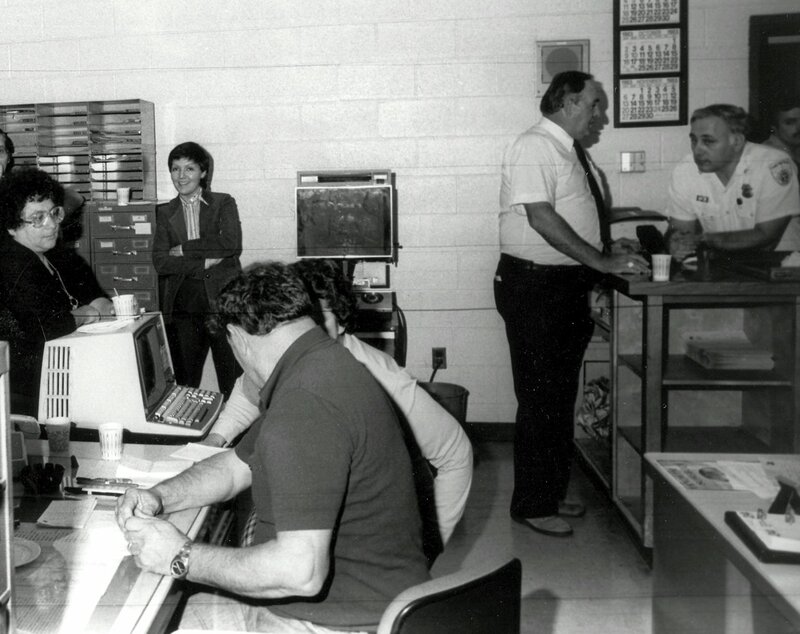 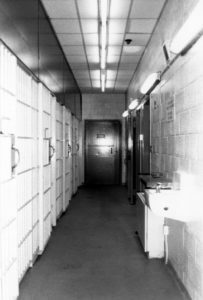 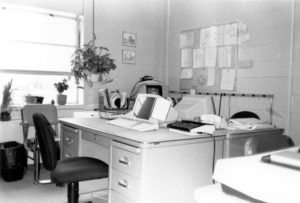 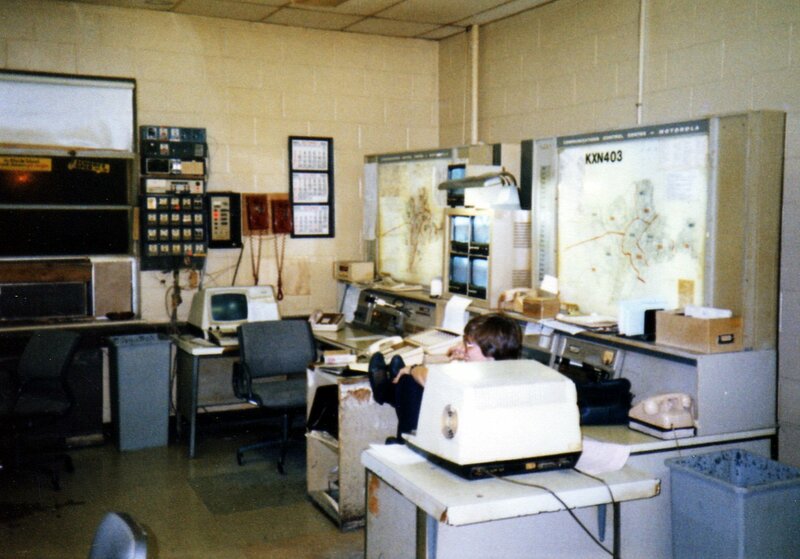 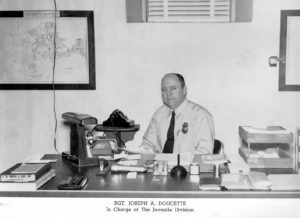 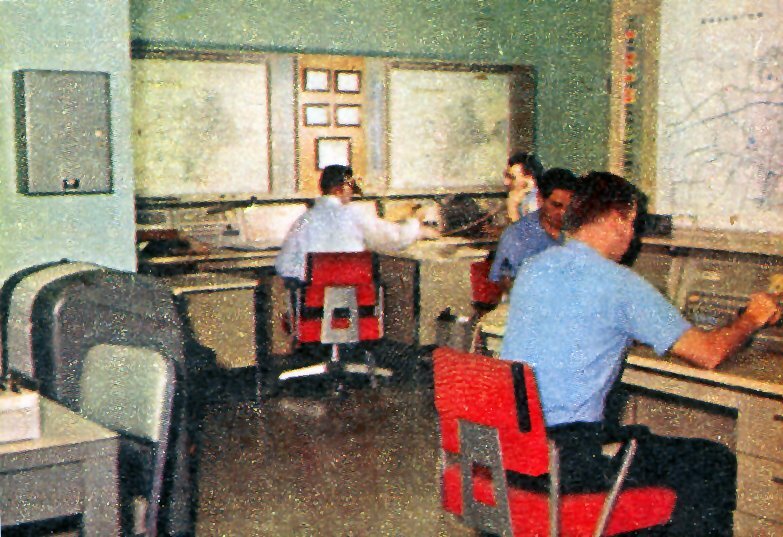 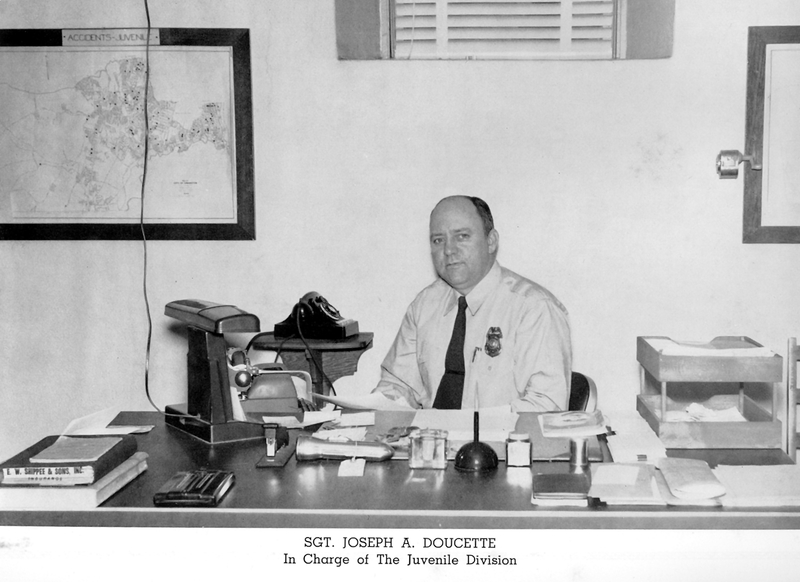 In 1991 became the Detective Division offices. 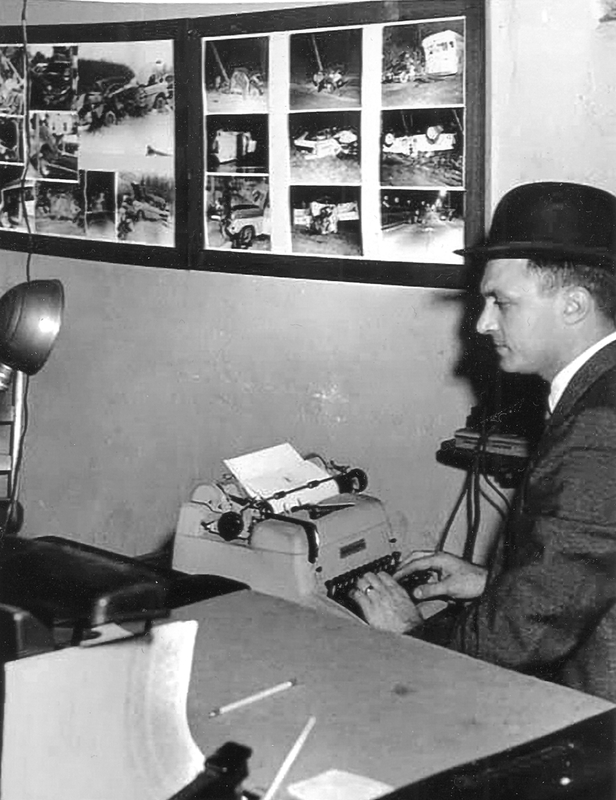 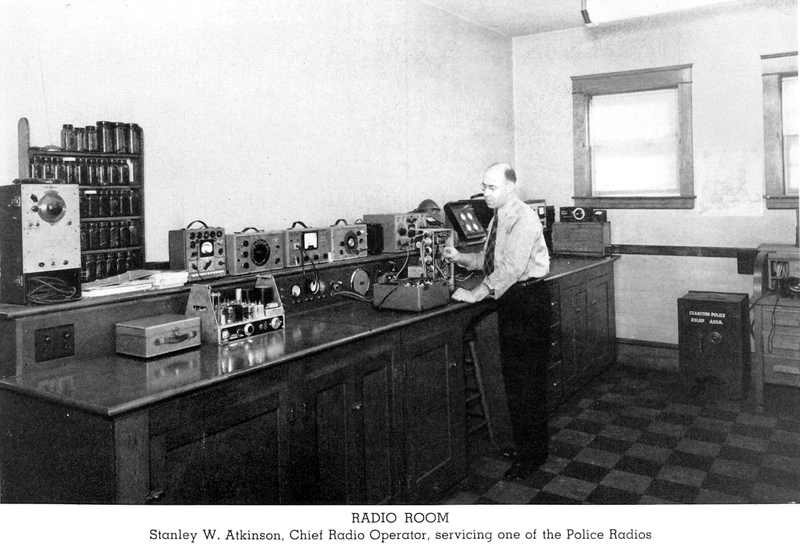 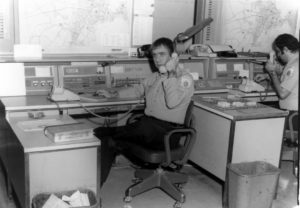 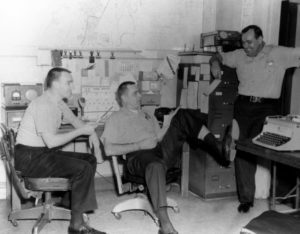 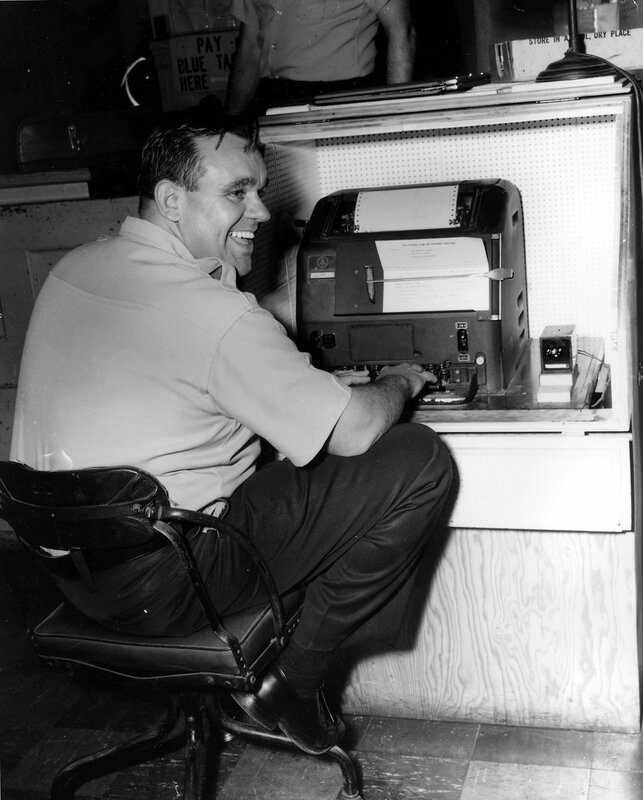 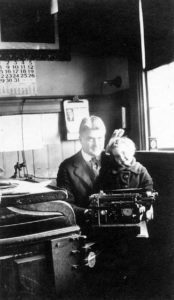 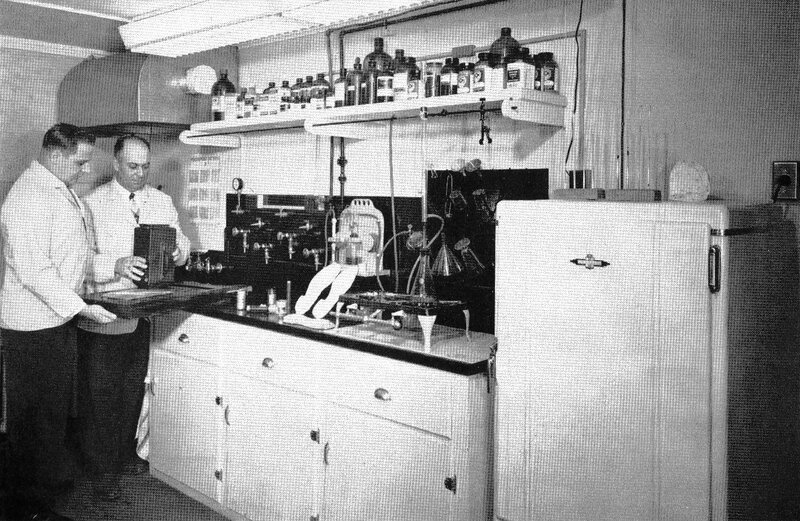 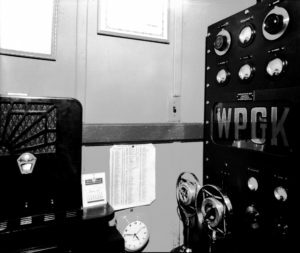 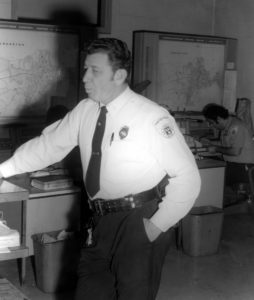 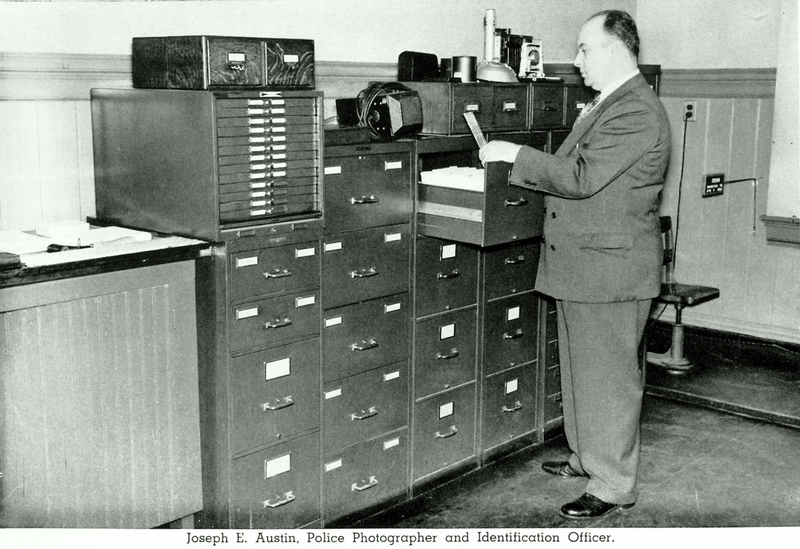 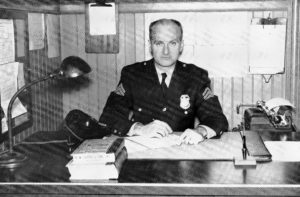 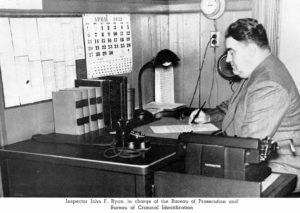 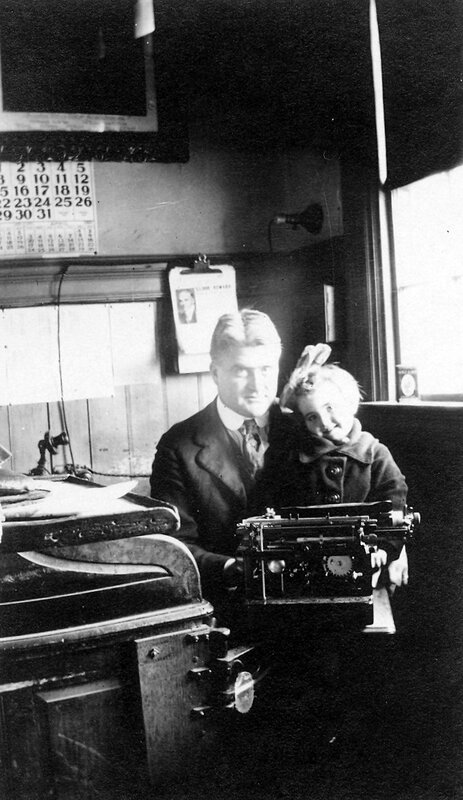 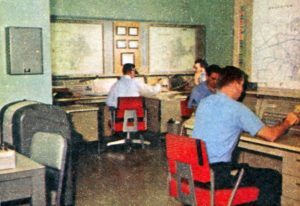 Officer Ken Gilkenson on early teletype machine. 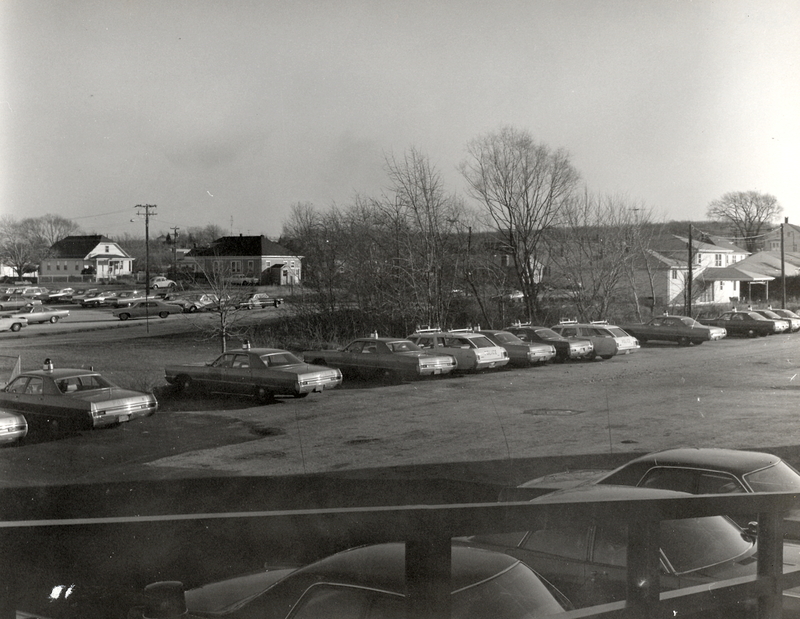 Rear Lot of 275 Atwood Ave. 1970s. 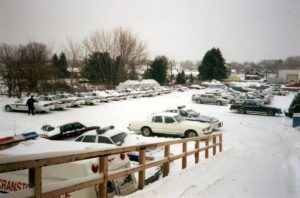 View of rear lot of headquarters from the cell block sally port – late 1990s. 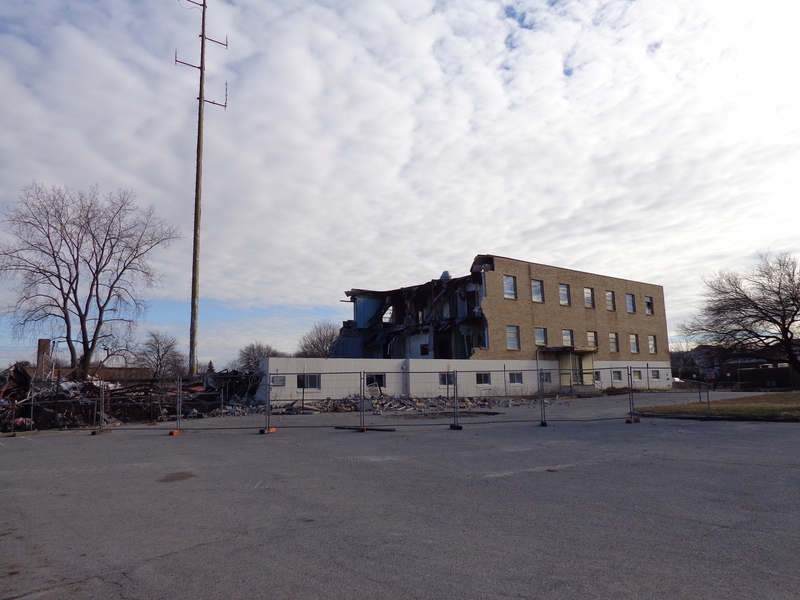 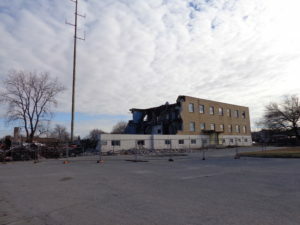 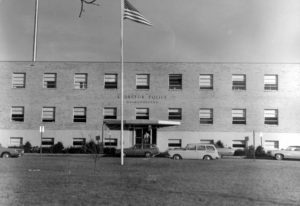 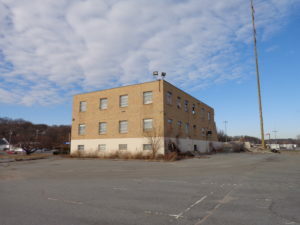 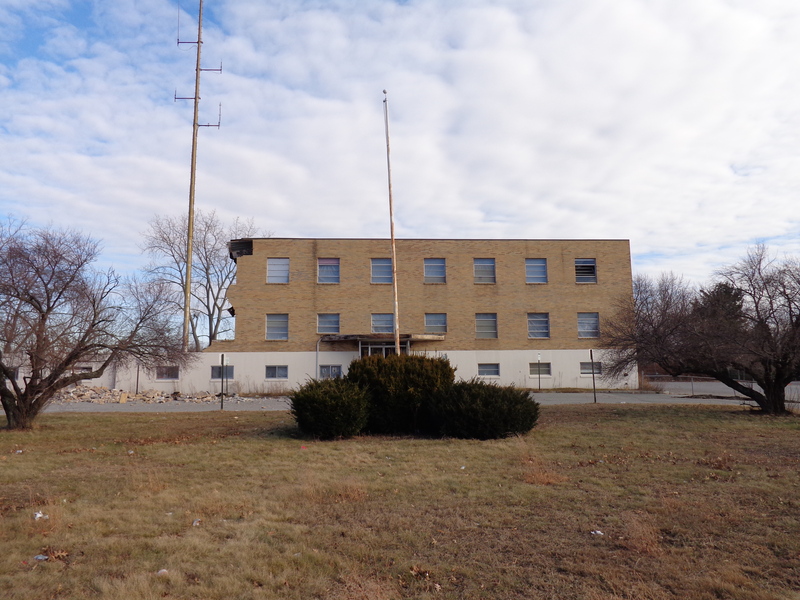 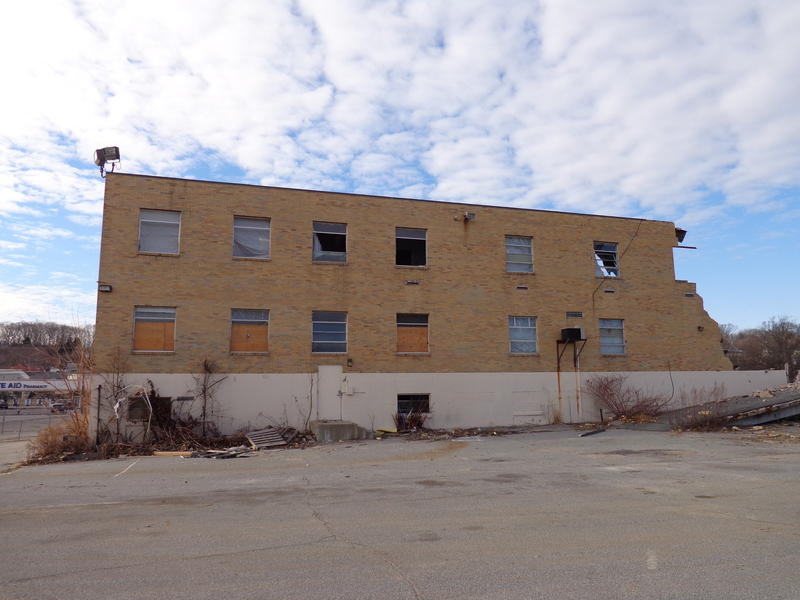 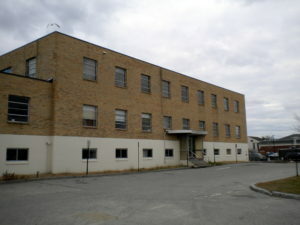 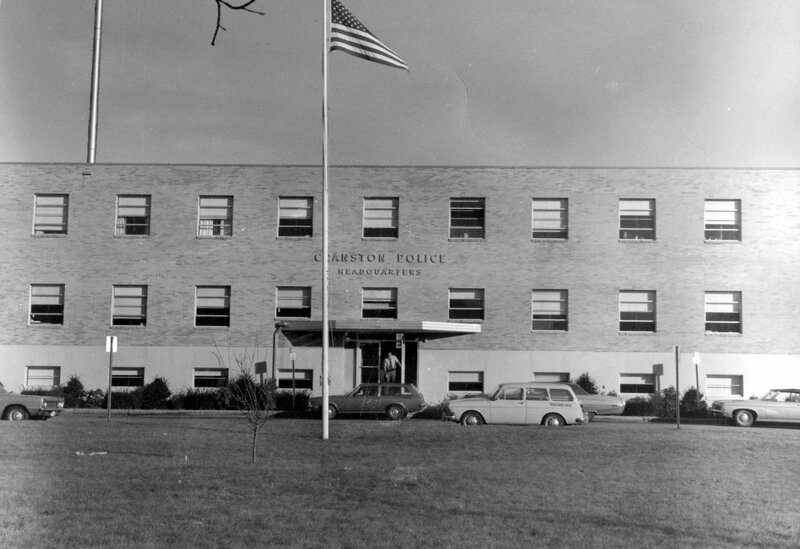 After moving to the new police station in Arlington, the old station was utilized by a movie company and turned into a sound stage. 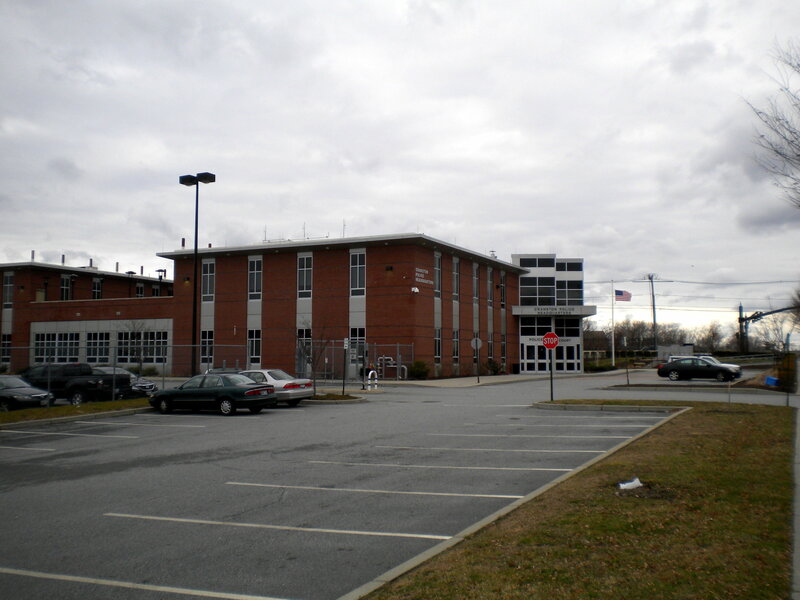 Where the sally pot and cell block was once located. 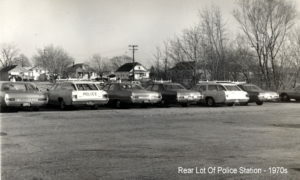 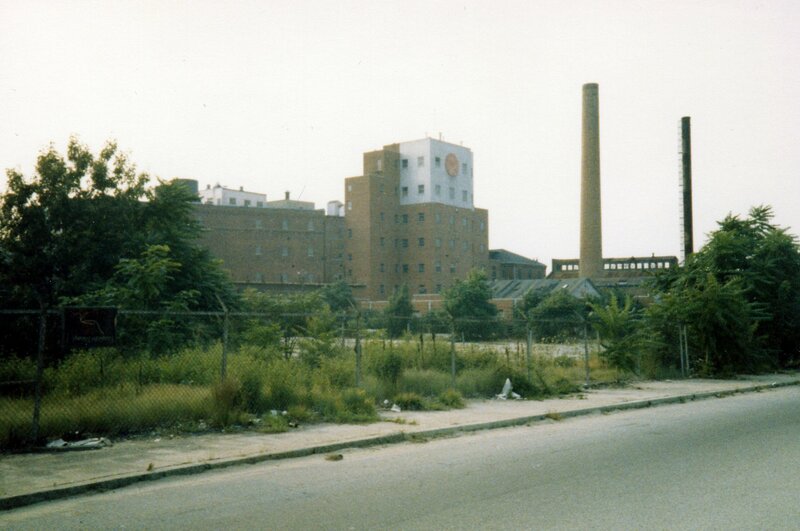 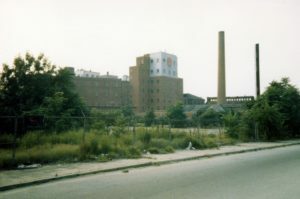 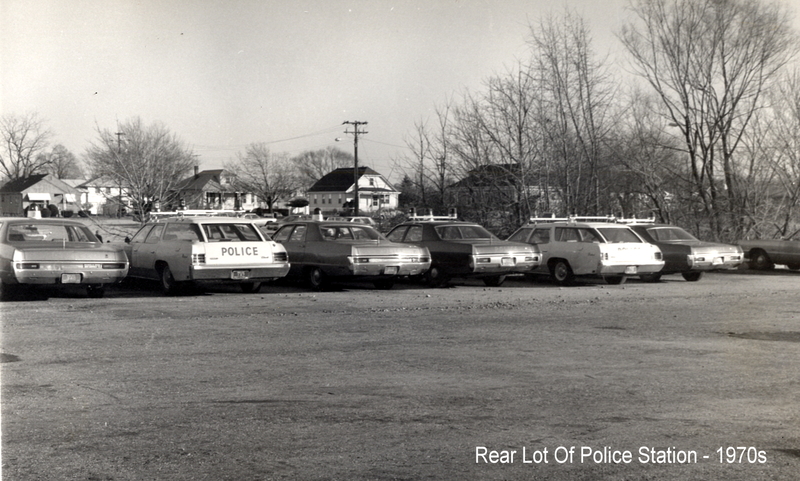 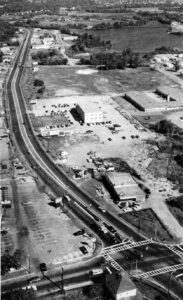 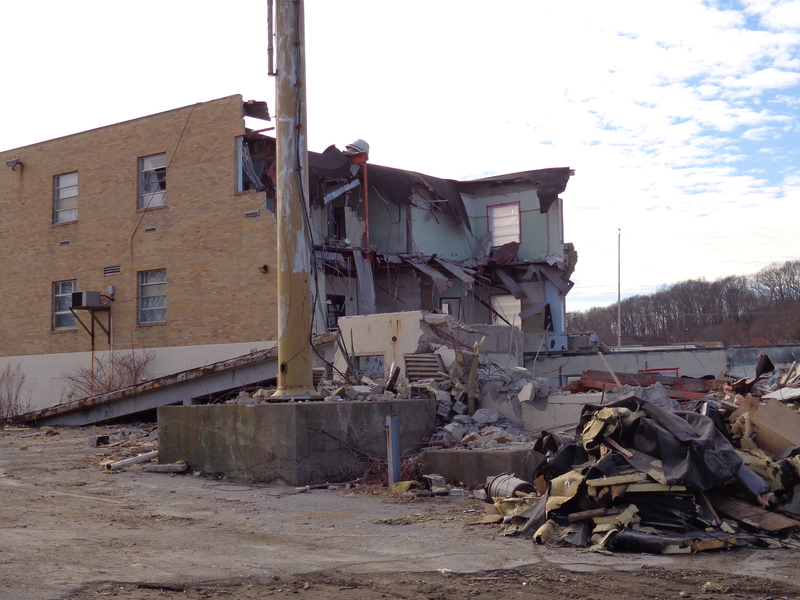 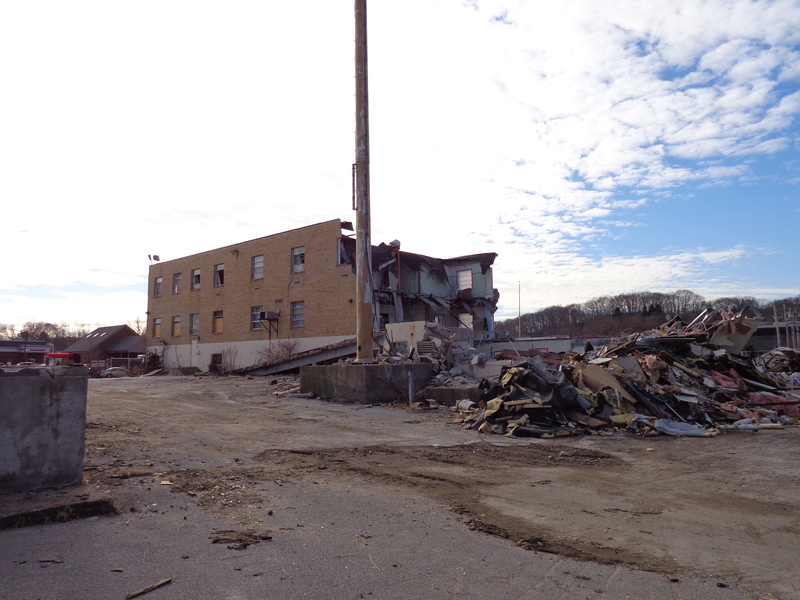 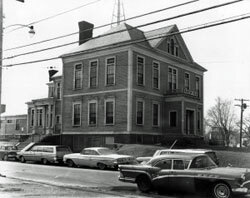 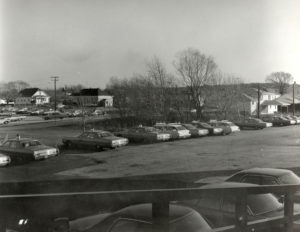 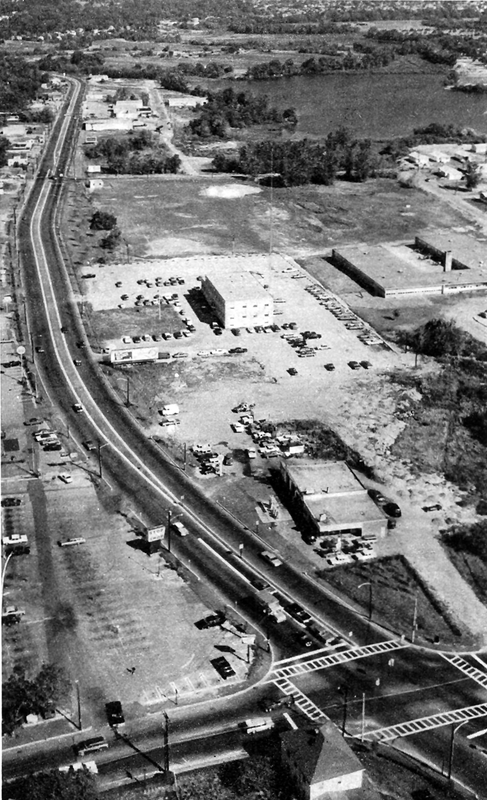 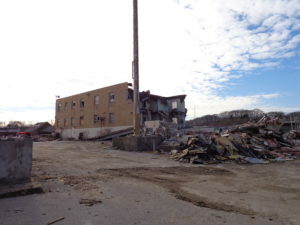 Former Narragansett Brewery about 1990, where the present Cranston police station now stands. 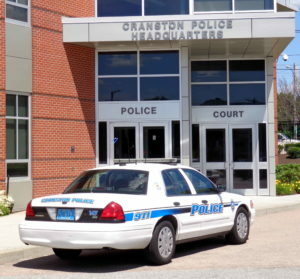 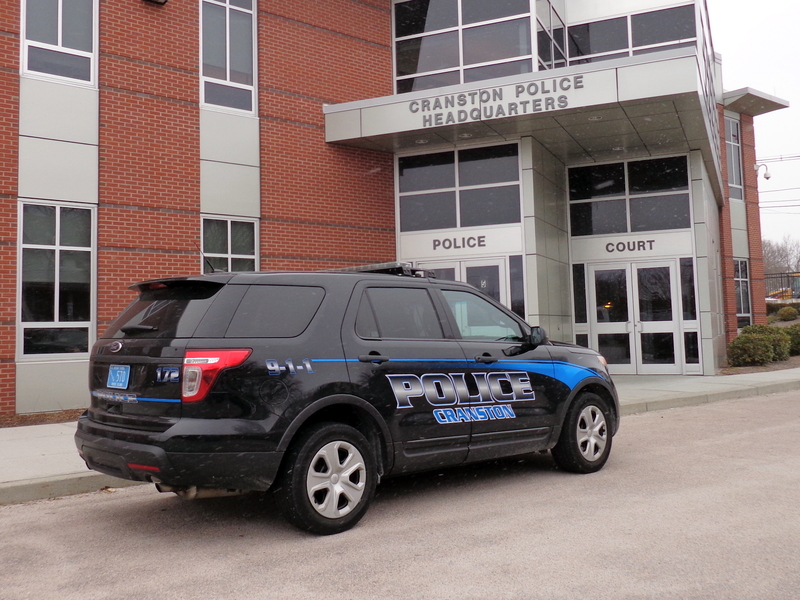 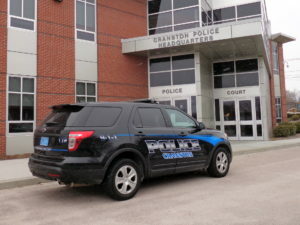 Cranston’s current police station, Garfield Avenue – Photo taken 2011.